There's a new smartphone bug going around, and it can cause an annoying crash in iMessages and WhatsApp. The "black dot" bug happens when someone sends you a malicious text message that your smartphone doesn't really know what to do with. The text usually looks perfectly innocuous, leading you to open the message — but once you do, the app freezes, so you have to force-close the app or reboot your phone. In the case of the black dot bug, the black dot emoji is just being used to hide thousands of hidden characters that tell your phone how to display the text. First, it tells your phone to show the message from left to right; then it tells your phone to show the message from right to left. Then the message repeats these instructions, going back and forth until your phone just can't handle it. The app — or your entire phone — will freeze, meaning you have to restart them. This black dot isn't the first text bomb bug we've seen hit smartphones, and it probably won't be the last. 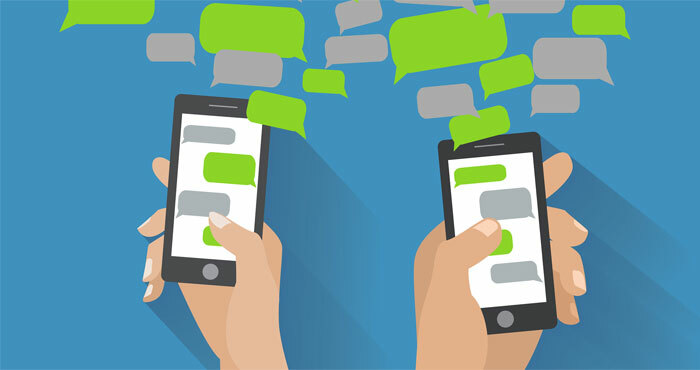 Earlier this year, sending a specific Indian-language character could crash messaging apps and even some email clients — including the mobile versions iMessage, Facebook Messenger, WhatsApp, Gmail and Outlook. Most of these bugs are fixed fairly quickly, but the black dot bug is still going around. So what can you do about it? Fortunately, whether you're the victim of the black dot bug or some future messaging error, it's usually a pretty easy fix. No matter what messaging app you're using, you'll need to get the message off your screen and delete it, so your phone stops trying to load the malicious message. Don't panic, because it's probably fine. Your phone and your data are perfectly safe. Close the app or, if your phone itself is frozen, restart the phone. For apps that don't open the most recent message — thus displaying the malicious text again — when you launch them, simply open the app again and delete the message. For apps that do open the most recent message when you launch them — like iMessages — you'll have to find another way to get into the app to delete the message. The easiest way is usually to open the app on another platform — your computer probably won't be affected by the bug — and delete the message from there. iMessages can also be used on Mac, and other many messaging clients have desktop apps or web-based apps you can use. Email, too, can also often be accessed on the web. Sometimes, you may run into a problem if a malicious string of text pops up in your notifications. If you get notifications for text messages, your phone will display the message on your home screen or in your notification panel, triggering the bug. This, too, can cause your phone to crash, but once you restart it, you should be fine. To avoid any risk of the problem, you can turn off notifications for your messaging apps, but for those of you who need your notifications, this probably isn't a problem you'll run into often, if at all. If these steps don't work, you may be out of luck until a fix is rolled out. Avoid using your messaging app and keep an eye out for updates to your operating system as well as the app causing problems. (Turning on automatic app updates means you'll find these fixes faster.) Companies typically rush to fix these bugs, so you shouldn't be inconvenienced for long. But even if you haven't been hit by this bug, you should always keep an eye out for software updates. New versions of Android and iOS inevitably contain bug fixes to address issues like this, and installing them before you run into trouble could save you some hassle.